Because I do not belong to the same religion and because I have separated myself from the father of my daughters, I am despised !! Why does this happen to me? This has lasted 10 years !!! You feel scorned, for that is what you see in yourself. Your family, those who have chosen their own ways, have a focus on their lives, which brings them happiness. But the fact that you do not seek yours and, rather, try to fit into the reality of others, causes you to be aimless and feel despised. But, My daughter, there is only one person who is despising, who is yourself. Everyone wants to see her happy and going their way with Trust and Love, whatever it is. People expect you to just meet and follow your walk with Love. This meeting, with yourself, will attract all those you tune into, not those who do not resonate with your energy. Cherish yourself, My Child. Love yourself. Seek your faith. Find something you believe in and "wear that shirt" with Love, without fear of being yourself. Do not despise yourself any more, for you are a wonderful being of Light, who is hidden and ashamed within this "cloak" of fear, which has not allowed you to reveal how brilliant you are. Wear your love identity and show your Light to all. Be yourself, My Beloved. I am going through moments never before lived in my life. Like many in this country, I am in serious financial trouble. I think about changing jobs, but I can not. Even for this I need money and no prospects of what I can do. I try to live the moment and solve each problem at a time, without thinking about the future, but it is almost impossible that fear does not arise from what will happen. What to do, what to expect? Gratitude! The flow of positive change is linked first to the "death" of fear. First, you go through situations in your life to which you are placed before your greatest fears. It is tested and challenged in order to heal them. This year, for you and for so many others, it was marked as the year of challenge and confrontation of your greatest fears. You were all placed in situations where you had the opportunity to observe how you yourself react to situations where you did not know at first that you would feel that way. You were led to seek within yourself the strength but rather you were challenged to look at your hidden aspects for so long. The new year, dear, will no longer be the challenge, but rather, it will be from the opening to the new, where you will have opportunities to work in new realities for your lives. And so the year 2016 was so challenging as it served as a preparatory phase. The best way to work this, dear child, is to bring the sense of acceptance of the flow. If something bothers you in your current situation, try to understand why this discomfort. Notice how so many others who live in much scarcer situations are accustomed to their reality and no longer suffer. The confrontations will not cease, my son, until you decide to look upon them with acceptance. And, yes, look within yourself with the questions you bring to me. Remember that all life in matter is illusory. And that you are the purity of your heart. You are nothing more than Light energy that is experiencing this experience to bring some learning to your soul. When life is seen by that point, everything becomes lighter. You will see how suffering does not exist and that it is only in your mind, fueled by fear. The fear of looking inside oneself. 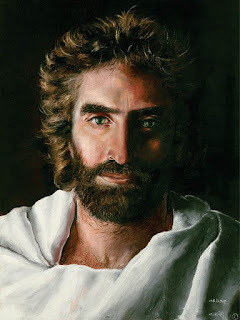 Therefore, dear brother, work within your truth. Work to bring truth into your consciousness, and understand why you feel this way. You will realize that there is nothing wrong and nothing to fear, in the face of a simple experience in matter, which means so many seconds of time before other dimensions of existence. Work this acceptance within yourself, and let go of fear. Beloved Masters! I am 44 years old and have an 8 year old son. When my son was 8 years old his father left us, I suffered a lot and since then he can not put his son as a priority to pay the pension and I do not understand why I have pity on him and even in anger I can not bring justice. I believe we have reschedules to solve, can help me how to act I can not also harm my son. I'm lost and I need help. Gratitude Beloved !!! Dad would like to ask you something. What prevents you from acting with your ex-spouse, the love that still nourishes for him or the defense of his son? It is that in these things of the matter my daughter, is complicated of opinion. Because you have to sort yourself out, you know! You need to be empowered to make a decision that is the best for the moment. Of course we will not say whether they do it that way or that. Because you have to decide to settle things as they should be. But the father here wanted to tell you something. Do you seek financial or affective help? You need to set this! What do you dream about is a parent rapprochement or financial aid? Do you know why. Because he is responsible for both things, financial aid and moral education, just like you. What is the example you are giving with your sustenance? What will your child feel about it? The daughter decision, not only involves what you feel, but there is a feeling of a child. This is what you need to do in the balance and do what is right in your heart. What your heart asks for. Do the following, bring the situation of you asking this to him to your heart. And then do not do anything and leave as is. What do you feel? In which one of your heart gets tighter? Your heart knows the daughter's answer. You know what you need to do for the good of the situation. Nobody needs to tell you. But whatever you do, do it lightly, naturally knowing that you are attending to a request from your heart, knowing that it is the right decision before the moment and not what you are told. It is neither right nor wrong. No one will blame you if you do what relieves your heart. That's right, right? 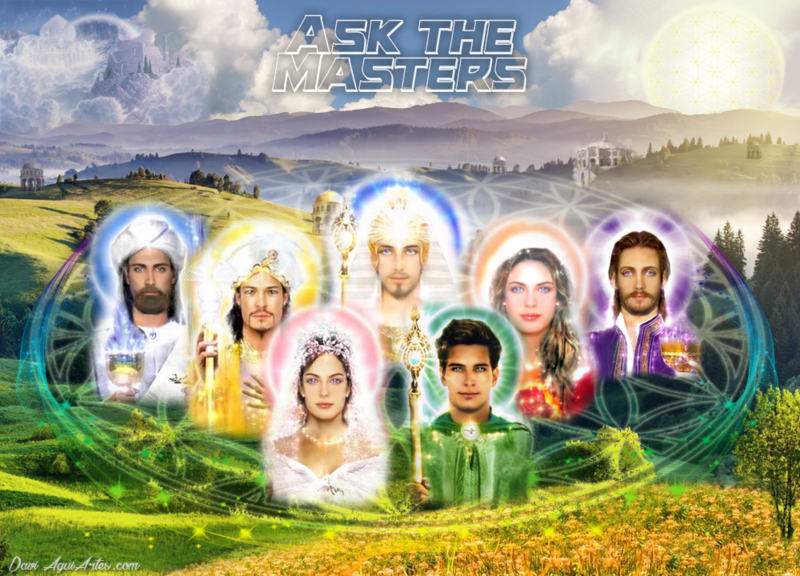 Beloved Masters, Gratitude for this opportunity to ask questions of you. I would like to know about my affective life. I am 37 years old and I am still single, nobody appears interested in me and when it appears is married. I only had 3 boyfriends in all those years and these relationships lasted a few months and out of nowhere my boyfriends left without a reason and everyone betrayed me. It hurts me a lot, because my whole life I dreamed of finding my soul mate, my soul mate because I believe in a true love. But I do not understand what is wrong with me, because my affective life does not flow. Thank you for your guidance and help as it makes me very sad and anxious waiting for the meeting with my soul mate. Gratitude. Few are those who are graced with the meeting of their soul mate in material experience. It is something rare to have. The relationships of duality, almost wholly, are dubious, imperfect, and we do not always find it easy to find by what we seek, dream, desire. But we all have aspects to be released in duality, aspects of inner healing, which are often demonstrated in repetitive events in our life. If they repeat themselves it is because there is a cycle that is not being broken. Look at your relationships. Do an exercise. Look for any of these old relationships, put your old partner in front of you, feel the energies that surround you, feel how you feel before them. Now, bring that energy from the relationship to your abdomen, feel if it is stiff or loose. See if you create free relationships or full of attachments and impositions. If your abdomen is stiff it is because you are resisting, imposing. You need to learn to release so that the relationship forms itself naturally, so that it flows in its time without requiring or waiting, but only allowing it to be. Now, bring that same energy into your heart region, feel if your heart is stuck, steady, or free, loose. If you are rigid it is because you are not allowing yourself to feel the relationship. In this exercise, ask your ex-partner, who is still ahead of you, how he felt about you. Let the answer come naturally, without imposition. It is a cycle that must break, learn to let go before the partner, to create an empowering relationship, even with the imperfections of human life. Even imperfect lives, imperfect relationships, can be happy, can be gentle, without bringing us a sense of freedom. For otherwise we need them if we have everything within us. Seek yourself my dear and feel your body that it will bring you the answers you seek. Good Morning! 1ª) - lately happens some facts (situations, that occur) that I have the feeling that I had already witnessed this fact, that I knew that it was going to be that way. I have a very strong memory that I can not explain, but it always seems that the last chapter is missing. There is a feeling that I could have done something and I did not. How do I improve this feeling? 2ª) - I work in a company for 20 years. It will close in a little while and the new company you are taking on is already working in parallel. I am in a dilemma: sometimes it even puts my professional competence into questioning. I worry about my future. How should I proceed? Dear brother, it is no coincidence that you asked about two subjects in one contact. For they are related. The feeling you have that there is something to be finished is brought on by the insecurity that populates your mind related to the fact of being insecure in your work. The insecurity it brings, is nothing but the failure to give in to the flow, the uncertain and trust that the best will happen for you. Try to create realities, create outcomes that you can understand with the mind. But know, my child, that the mind only creates confusion for you. All the explanations you seek in your mind will only bring more confusion and deviation from your true purpose. This is often the case with people who come home worried about work and can not sleep. Who dream of remembering incomplete situations with people who do not have an explanation. When you begin to bring your mind to situations, this is what happens. Do you want this to get better, my dear son? So just relax and connect to the heart. Do not worry about the outcome, but the present moment. Make the gift your joy, your satisfaction. Tomorrow will come beautiful and the end will be the best, always. When you take this walk in peace and give it to God to guide you through your heart, all the best paths will be trodden and the endings will be unexpectedly surprising for your joy and abundance. Be at peace, my brother. Text revision: Lara Rosa Branca, Angélica T. Tosta and Solange Yabushita.